CHARIS project summary (credit Kathleen Bogan, CIRES). The CHARIS project and the Asia bureau of USAID organized two events in December, 2018, in Washington, DC. to present the results of the CHARIS project. This two-page summary was distributed at both these meetings. 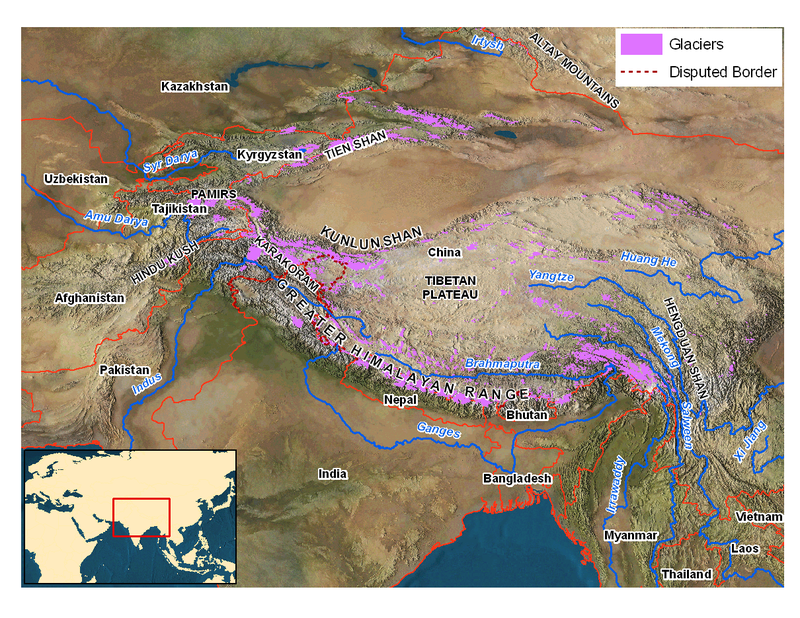 The Contribution to High Asia Runoff from Ice and Snow, or CHARIS, project is systematically assessing the role that glaciers and seasonal snow play in the freshwater resources of High Asia. This assessment is crucial to help forecast the future availability and vulnerability of water resources. Through collaboration with our Asian partners, the project is determining how much water in the rivers of High Asia comes from seasonal snow melt and how much comes from glacier ice melt. The work will provide critical regional-scale information for planning downstream irrigation, hydropower generation and general consumption. A better understanding of the current hydrologic regime will provide realistic estimates of the future availability and vulnerability of water resources in these regions. Encompasses five mountain ranges and watersheds totaling roughly 3 million square kilometers. Includes the Himalaya, Karakoram, Hindu Kush, Pamir and Tien Shan mountain ranges. Holds the headwaters of five major rivers: the Ganges, Brahmaputra, Indus, Amu Darya and Syr Darya. The countries of Bhutan, Nepal, India, Pakistan, Afghanistan, Kyrgyzstan, Uzbekistan, Kazakhstan and Tajikistan depend on water from these mountain ranges and river basins. CU-Boulder scientists, in addition to performing basic research, collaborate with our Asian partners in training workshops and fieldwork. Among our goals is establishing a model for regional data sharing. Data currently being shared among partners include basin shape files and associated DEMs, DDFs (degree day factors), MODIS snow cover and glacier cover data, selected discharge data and current melt model code. All additions to the data files are put on the CHARIS archive ftp server, and an announcement made to partners and their teams through an email list server.